TORONTO, Sept. 25, 2018 – DAZN, the live and on-demand sports streaming platform, announced today that it has signed an eight-year distribution deal with Matchroom Boxing USA, a world-leading boxing promoter, to exclusively deliver a series of fight nights along with original programming on DAZN Canada. 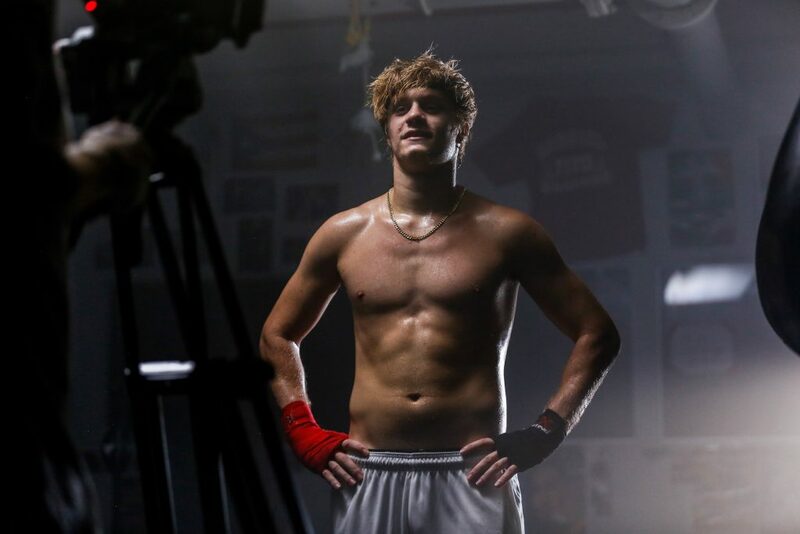 DAZN Canada plans to broadcast 16 live fight nights through August 2019, beginning with the Jessie Vargas vs. Thomas Dulorme card on Oct. 6, 2018 at Wintrust Arena in Chicago and Oct. 20, 2018, when Billy Joe Saunders defends his middleweight title against Demetrius Andrade at TD Garden in Boston. DAZN will also produce original programming that viewers can watch ahead of and following fights. DAZN’s investment comes on the heels of a historic $1 billion dollar joint venture between Matchroom Boxing and DAZN Group that was announced earlier this year. This joint venture represents DAZN’s vision to reignite the fight sports community and to bring passionate fans closer to their sport and fighters. 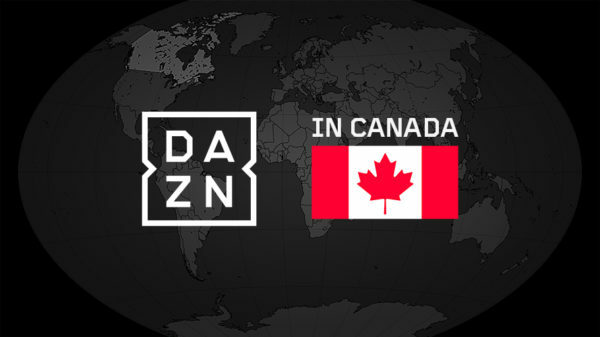 For more information, fans can follow DAZN Canada’s social channels: @DAZN on Facebook, @DAZN_CA for Twitter, and DAZN_CA for Instagram. DAZN is the world’s first dedicated live sports streaming service and is leading the change to give sports fans around the world access to sport anytime, anywhere. DAZN remains the only place for Canadians to watch every single live NFL game, and is the exclusive home of RedZone. DAZN has also become the new home of UEFA Champions League, Europa League, Serie A and offers MLS Live, MLB Network, Six Nations Rugby, boxing, cricket and much more live and on-demand. “I am thrilled to be bringing this triple-header of World championship action to the TD Garden in Boston. “This is such a big fight. The two main men at Middleweight at the moment is GGG and Canelo – and neither of them want to fight me or Demetrius. There’s a lot of smoke and mist in the division right now, and when it clears up I will be the man standing there. “All jokes and trash talk aside, this is going to be a really good fight. Does anyone want to fight Demetrius? No. Does anyone want to fight me? No. We have to fight each other to prove who the number one guy is. Technically, we are the best two in the division, and the winner is going to be number one. I’m World champion, I’ve been more active, I’ve boxed the better opposition – but I have to beat this man. “David Lemieux is a bum, a bum – he’s not worth talking about and I don’t take any credit from beating him. But I’ve been in with and easily handled World-class opposition – I’ve been in with Chris Eubank Jr and dealt with him, been in with Andy Lee and dealt with him, Willie Monroe had no heart or desire to win. Demetrius Andrade – Providence, Rhode Island – 25 (16) – 0 – challenging WBO World Middleweight champion Billy Joe Saunders. “It’s an honour to be fighting at the TD Garden, we’re giving you the best fight in boxing this year, you have to be there. “Billy Joe is a great fighter, an undefeated southpaw, he’s ugly looking, but he can fight – but your boy Demetrius Andrade always come through. Never have I failed to come out with the victory. “It’s going to be an entertaining build up and I’m thrilled to be working with Eddie Hearn, he’s bringing boxing at the highest level out here – there’s no sport like boxing, and we’re showcasing it in Boston. 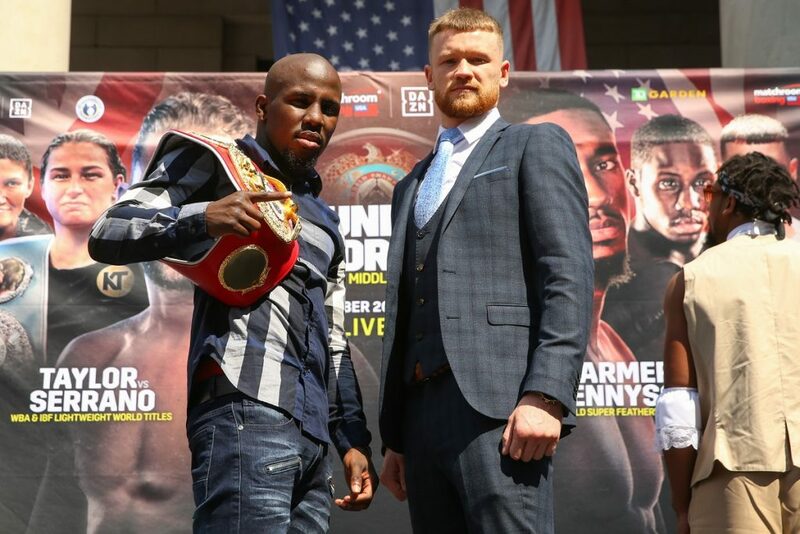 Tevin Farmer – Philadelphia, Pennsylvania – 26 (5) – 4 (2) – 1 – defending his IBF World Super-Featherweight title against James Tennyson. “It’s been a long time coming for me to fight as a World champion. October 20, we’re coming to bring the pain. The last time I fought in Boston I fought Emanuel Gonzalez in June 2014 and it changed my life. James Tennyson – Belfast, Northern Ireland – 22 (18) – 2 (2) – challenging IBF World Super-Featherweight champion Tevin Farmer. Katie Taylor – Bray, Ireland – 10 (5) – 0 – defending her WBA and IBF World Lightweight titles against Cindy Serrano. Cindy Serrano – Brooklyn, New York (born in Puerto Rico) – 27 (10) – 5 – 3 – challenging WBA and IBF World Lightweight champion Katie Taylor. “Katie is a tremendous fighter and a hard worker so I know it’s going to be a hard fight, but a great fight. I am a great fighter too and not only can we both fight, we look good doing it – and we’re going to prove that on October. Kid Galahad – Sheffield, England – 24 (15) – 0 – facing Toka Kahn Cleary in a final eliminator for the IBF World Featherweight title. “We’re not here to play marbles, we’re here to take over. I’m over here to hurt this man, real bad. Me and Billy Joe Saunders are not joking – we’re coming to get big wins and in style. Toka Kahn Cleary – Providence, Rhode Island – 25 (17) – 1 (1) – facing Kid Galahad in a final eliminator for the IBF World Featherweight title. (BOSTON, MA) Tevin Farmer will defend his IBF World Super-Featherweight title against James Tennyson at the TD Garden in Boston on October 20, live on DAZN. Farmer landed the title with a landslide points win in Billy Dib’s Australian backyard in August, gaining redemption in the process after missing out on the crown in a controversial split decision loss against Kenichi Ogawa in Las Vegas in December. The Philadelphian ace puts the belt on the line for the first time against Tennyson in Boston on a stacked bill, with the dangerous Irish puncher fresh from ripping the European title from Martin J. Ward with a stunning stoppage win from off the canvas in London in May. Tennyson’s first World title tilt could derail Farmer’s plans to meet the other champions in the 126lbs division – with WBA king Gervonta Davis top of his wishlist after penning a co-promotional deal with Matchroom Boxing USA and DiBella Entertainment – and Farmer knows he must be on top of his game to keep his belt and move onto the unification bouts he desires. “I’ve worked really hard to get to this point and now we’re going to get these big fights – but I have to take care of business with James Tennyson first,” said Farmer. “James is a proud, tenacious and worthy challenger for my belt. “I know James is going to be hungry to take my title, but there’s no way I’m going to let it go – I want to prove that I am the king in this division. I don’t need to fight the other champions – I want to fight them, no talk, I want to handle my business and I want these guys to meet me, I want Gervonta. “I feel that I’m ready for my shot and that I’ll take the world title back to Belfast,” said Tennyson. “A lot of fighters, when they take a loss in their career they think it’s at an end when they’ve gone undefeated and been at the top but my career shows that a loss isn’t the end. Farmer’s clash with Tennyson is part of a huge bill in Boston with three world title bouts on the slate. England’s Billy Joe Saunders defends his WBO World Middleweight title against Rhode Island’s Demetrius Andrade and Katie Taylor puts her WBA and IBF World Lightweight straps on the line against Cindy Serrano. 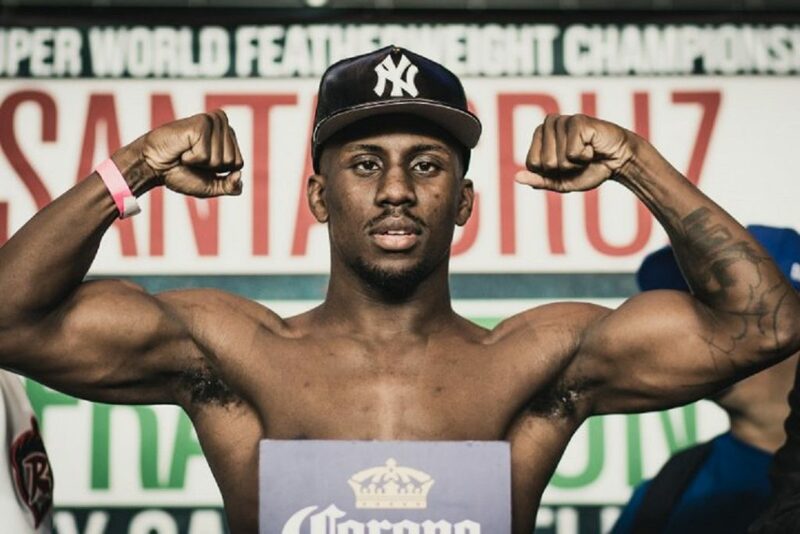 New York, NY (08/23/18) – Tevin Farmer has signed a multi-fight co-promotional deal with DiBella Entertainment and Matchroom Boxing USA. The newly crowned IBF World Super Featherweight champion will make the first defense of his title live on DAZN in a bout to be announced this week – another step in the remarkable career of the popular southpaw. Farmer travelled to Australia earlier in the month to land the title in convincing fashion in the backyard of Sydney’s Billy Dib, to claim the IBF strap at the second attempt having been on the wrong end of a controversial split decision against Kenichi Ogawa in Las Vegas in December, a result subsequently change to a no-contest following Ogawa failing a drugs test. The Philadelphian ace’s win was a sweet moment after recovering from a career-threatening injury when he was shot in the hand in July 2017 – reaching the World title status his undoubted talent has always promised. 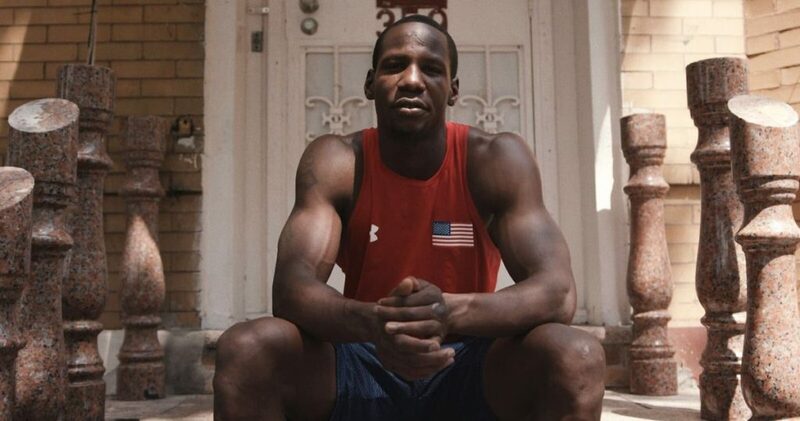 Farmer is hunting down unification bouts as soon as possible, with champions Gervonta Davis, Miguel Berchelt and Masayuki Ito all on his radar. “Tevin Farmer has a great story but more importantly to me the man can really fight,” said Eddie Hearn of Matchroom Boxing USA. “He showed great heart to bounce back from that shocking decision in Las Vegas and go to Australia to win the title – and now the world is his oyster. 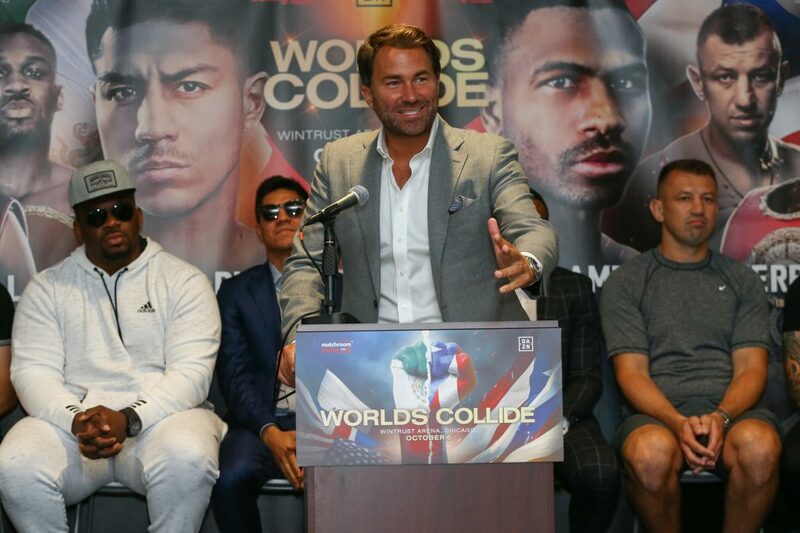 (Chicago, IL) Eddie Hearn and Matchroom Boxing USA are delighted to confirm the line-up for the first American show live on DAZN at the Wintrust Arena in Chicago on October 6. 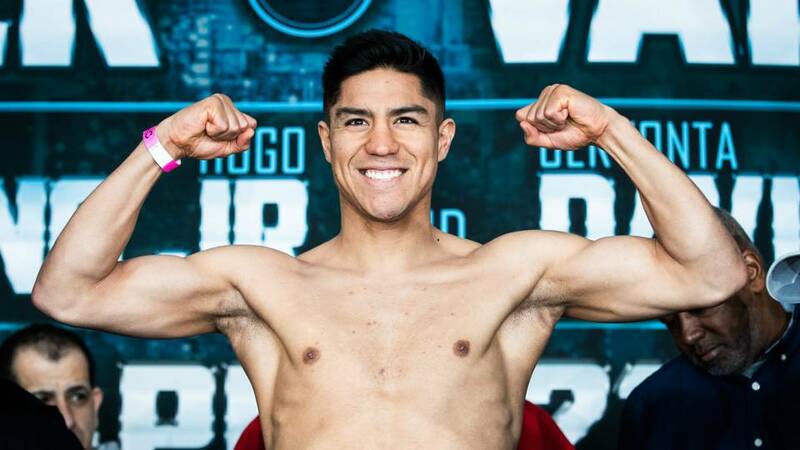 World-rated Welterweight and former two-weight World champion Jessie Vargas headlines the bill as he targets World honours in a third weigh class, and Vargas’ journey to that goal starts against former World Super-Lightweight World title challenger Thomas Dulorme, the Puerto Rican looking to derail the Las Vegas man’s ambitions at 147lbs. Two great World title battles feature in the Windy City as crunching Russian puncher Artur Beterbiev defends his IBF World Light-Heavyweight strap against Briton Callum Johnson. Beterbiev has a perfect record of 12-0 with all wins coming via KO, but Johnson is an unbeaten feared puncher himself, having destroyed British champion Frank Buglioni inside a round of their clash in London in March – his 12th KO from 17 wins, pointing to this clash being one that promises to be a ferocious shootout. Classy WBA World Super-Bantamweight champion Daniel Roman defends his crown for the third time against Britain’s Gavin McDonnell. Roman won his title on the road in Japan in brilliant style with a stoppage win over Shun Kobo and was fantastic in both his first defence back in Japan against Ryo Matsumoto and his second against Moises Flores in California. The Californian is hunting unification clashes but will need to be at his best once again against McDonnell, the Doncaster ace having his second crack World honours having learnt so much in his majority decision loss against WBC champion Rey Vargas in February 2017 – making for a fascinating clash that could catch fire and steal the show. Heavyweight boxing is as hot as it’s ever been right now, and Brooklyn’s Jarrell Miller is right in the mix for the big fights. ‘Big Baby’ is looking to add win number 22 to his slate and force himself into the conversation at the top table, and the man in his way is Poland’s Tomasz Adamek, the former two-weight World champion who picked up and defended the Polish title in his last two fights in his homeland. Anthony Sims Jr. has signed a promotional deal with Matchroom Boxing USA. The unbeaten Indiana Light-Heavyweight talent is set to fight for the first time under new promoter Eddie Hearn this Saturday at the Ice Arena Wales in Cardiff, live on Sky Sports. 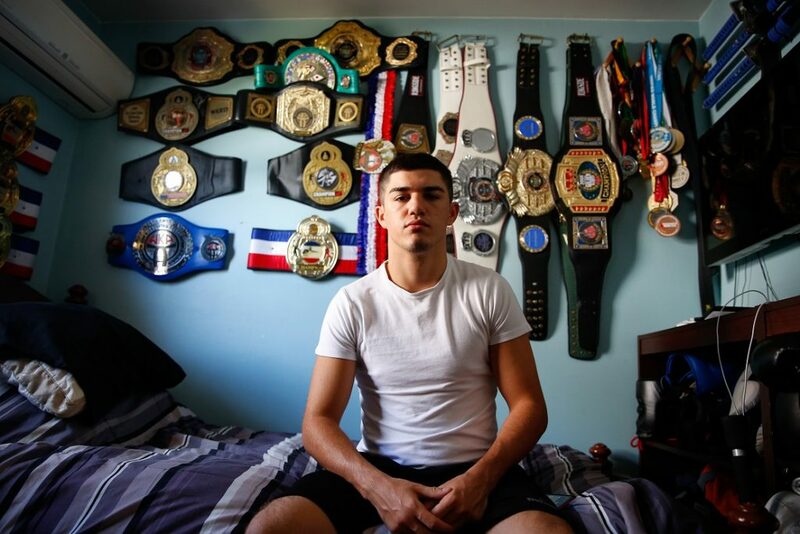 The 23-year-old has reached 14-0 in the paid ranks with 13 of those wins coming inside the distance, and the decorated amateur and cousin of Floyd Mayweather Jr is thrilled to be joining Hearn and is aiming to graduate to title action soon. “It feels amazing to be teaming up with Eddie Hearn and Matchroom Boxing USA,” said Sims Jr. “This is the biggest step that I have taken in my career to date and now I have the platform to show the World what I’m capable of. “Floyd always told me that skills pay the bills and I believe that I possess the skills to take me to the very top of this sport. Signing with Matchroom will give me opportunities to fight higher class opponents and challenge for championship belts. 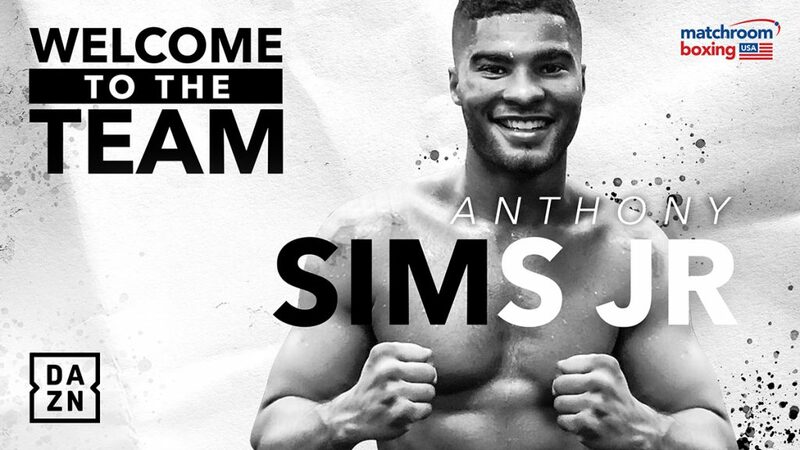 Sims Jr. aims to make his debut on the streaming giant DAZN in October. “I’m delighted to be working with one of the hottest Light-Heavyweight prospects in World boxing,” said Promoter Eddie Hearn. “His achievements in the amateurs speak for themselves, he’s a former No 1-ranked United States amateur and is already on his way to being a huge success in the paid ranks. Main event at the Ice Arena Wales sees Joe Cordina and Sean Dodd clash for the Vacant Commonwealth and WBA International Lightweight titles, Welsh Commonwealth Gold Medal man Sean McGoldrick fights on home soil for the first time in the paid ranks against unbeaten Irishman Dylan McDonagh, Natasha Jonas steps up her hunt for World honours with a first defence of her WBA Super-Featherweight Inter-Continental title against Viviane Obenauf, Rio Olympic Gold Medal stand-out Daniyar Yeleussinov fights for the third time in the pros, unbeaten Featherweight talent Jordan Gill continues his journey to more titles with action elsewhere from Birmingham Super-Bantamweight Gamal Yafai, Lytham Lightweight Scott Cardle, Newport Super-Middleweight Daniel Barton, Cardiff Light-Heavyweight Nathan Thorley, Gloucester Welterweight Akeem Ennis Brown and Pontilanfraith Super-Middleweight Kody Davies. Very limited remaining tickets are on sale at www.stubhub.co.uk priced at £40 (unreserved) £70 (reserved floor seats) and £150 (ringside VIP).